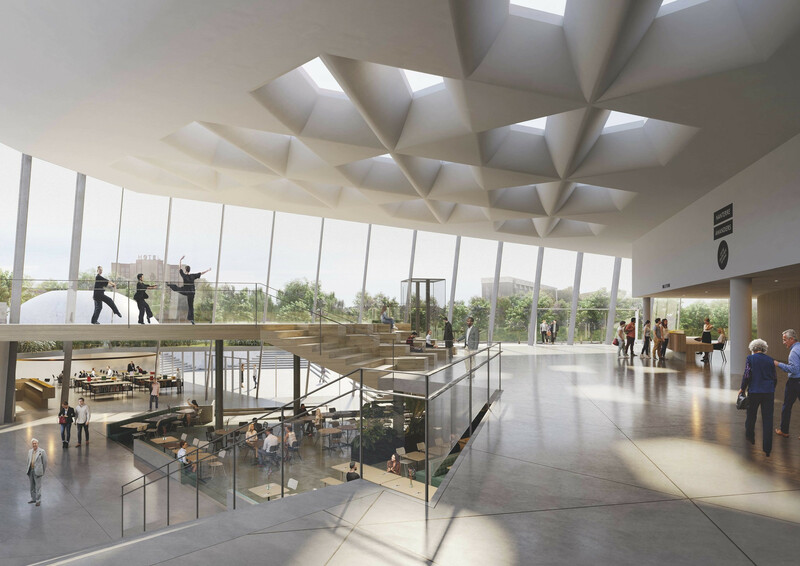 We are happy to announce that Studio DAP has been awarded as the acoustician for the Théâtre Nanterre-Amandiers renovation, as part of the design team led by the Norwegian architects Snøhetta. Furthermore, theatre planning will be undertaken by Kanju. Situated in the commune of Nanterre, the Théâtre Nanterre-Amandiers has been breaking down boundaries between artists and their audiences ever since the theatre was established in the late 1960’s. The theatre is known for its high-quality performances and openness to different theatrical concepts which attracts some of the most prestigious artists and theatre directors, such as the late Patrice Chéreau, from 1982 to 1990. The design also comprises an extension of the current facilities by adding a new 200-seat theatre, refreshing the multiuse hall and modernizing the acoustics and theatre equipment of the current 900-seat space. The external appearance of the building will drastically change by a flexible lobby space which will provide more visibility and transparency between inner and outer areas, helping to reconnect the Theatre with the city.